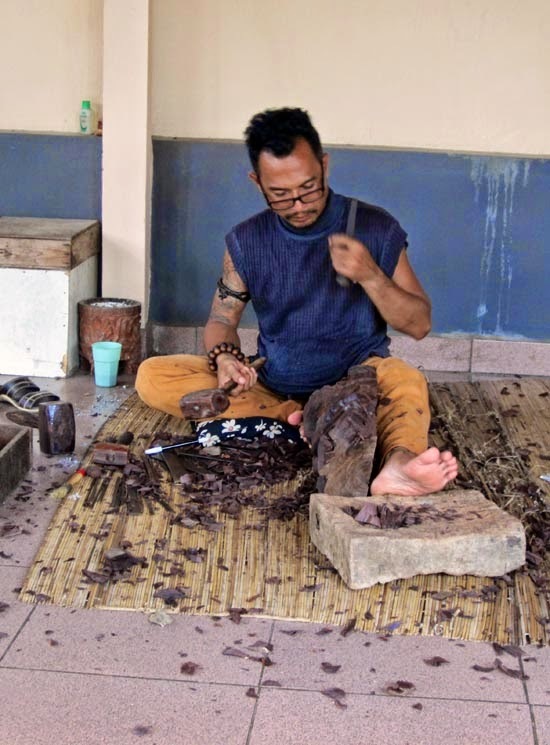 Wooden artefacts are popular with tourists in Bali, Indonesia. 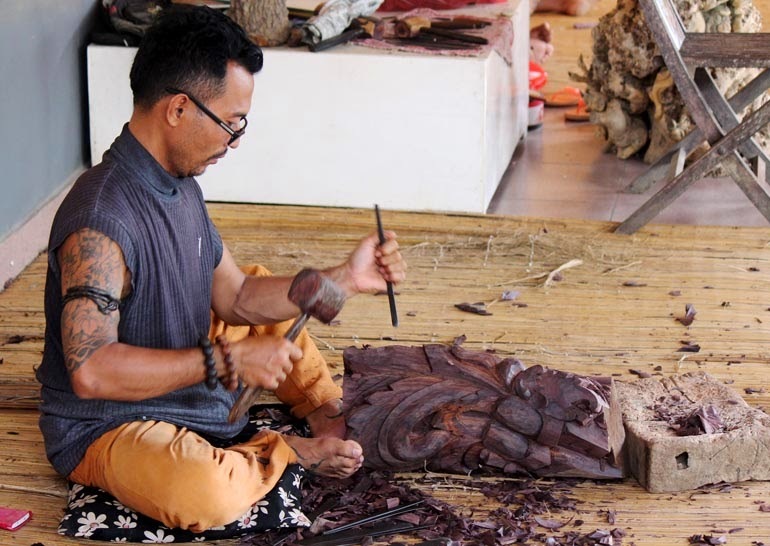 Here are some photos of the local Bali artisans working on the wooden sculptures. A closer look at the wooden sculpture being made. Polishing and adding the finishing touches to small wooden figurines. Women artisans from Bali. You might also like Indian Artisans making small statues or Artisans in India or Tanzania artisans or Cambodian Sculptors. Pictures of Indian Weavers from Aurangabad.